Why It Is Necessary To Consult Astrologers Before Wearing Cat’s Eye Stone? Why It Is Necessary To Consult Astrologer Before Wearing Cat’s Eye Stone? 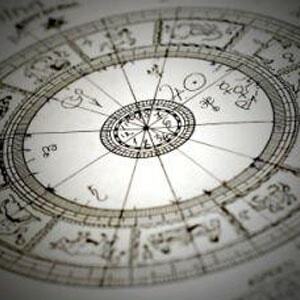 All certified gemstones have a significance in Vedic astrology and all of them have individual governing planets of the solar system, characterizing the various traits of human beings. People tend to wear the diamond, hessonite or the emerald, without knowing about their astrological benefits and the fact that they can have an adverse reaction to your mind and body. Cat’s eye or Lehsunia is one such instance. The effects of the gemstone can be very powerful either ways. The Cat’s eye stone belongs to one of the most vengeful planets Ketu. It might not have the presence in the solar system, but Indians astrologers believed that its effects could overpower the mystical power of the other planets. As per Indian astrologers, Ketu denotes the south node of the moon and signifies quick wealth, health, adversaries, gloom, luck and mental issues. If Ketu is aligned in the positive houses of someone’s birth chart, the gemstone will bring a lot of positivity and happiness in that person’s life. Therefore, it is advisable to wear the gemstone only after an astrologer has recommended it. If Ketu is placed in the negative houses of someone’s horoscope, it can bring a lot of ill luck, financial loss, depression, etc. If anyone can wear this gemstone with proper recommendation, then lehsunia stone benefits are very effective. Unlike other stones, which can be worn as jewelry, Lehsunia needs an astrologer’s recommendation. Even if the astrologer recommends you to go ahead with the stone, ensure that you follow all the rules and chant the relevant mantra before wearing it. Buy Cat’s eye online, but ensure you have the certificate of authenticity. This is because only a natural cat’s eye gemstone can show the powerful benefits it has over its wearer. The rationale and purpose of wearing a gem depend on the characteristic, color and vibration of the planet. The Color of the gem also plays an important role in influencing the native and others who see the gemstone. It has been a belief since the ancient times that the radiation released by the planets has always negative and the rays released by the gemstones is extremely positive. Both collide to neutralize the negative effects. This is the reason why it is always advised to consult an astrologer before wearing a gemstone because if the stone is adverse to one’s nature, the malefic effects of the planet will not be neutralized, thus affecting the health and wealth of the wearer. How to wear a Cat’s eye gemstone? The ratna should always be worn on the middle finger. It should always be worn on Tuesday or Thursday evenings. The weight of the gemstone must be not less than 2 Ratti. The gemstone must be cast in diamond or silver ring, because the metals add to the positive effects of the gemstone. The stone should be fixed in such a way that it touches the skin of the wearer so that the rays come in direct contact with the native. The ring can then be directly taken out of the bowl and cleaned with water and worn on the middle finger of the right hand. Ensure that when you wear the ring, the time is Krishna Paksha. How And Where To Buy Real Cat’s Eye Gemstones?